Saw something recently that I thought I would never see. 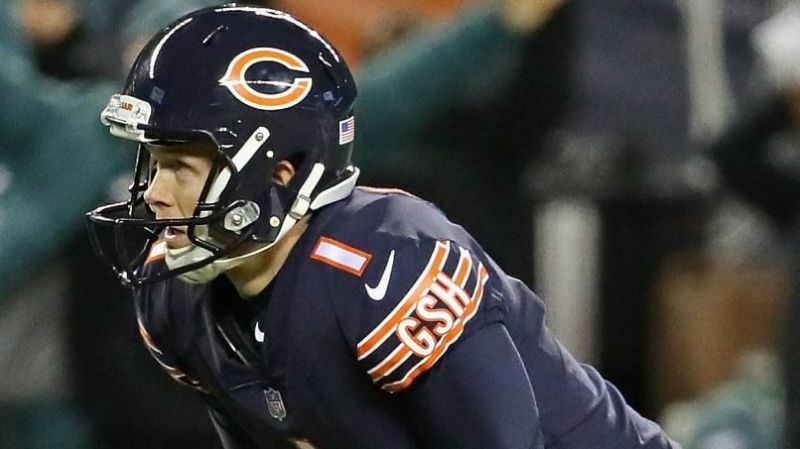 Cody Parkey of the Chicago Bears lifted his index finger toward the heavens after missing what would have been the game-winning field goal with seconds left in the Bears’ NFL playoff game against the Philadelphia Eagles. It is rather common, perhaps a bit too common, to see quarterbacks, receivers, runners, kickers and home run hitters lift their finger toward the heavens as if to thank God for their moment of success. It is easy to lift that finger toward heaven in moments of triumph and joy. Not so easy in times of misery and defeat as Cody Parkey did at the end of the Bears game. It is easy to thank God for our many blessings in good times, times of joy and plenty. Not so easy to thank God for those same blessings in times of disappointment, anguish and defeat. But that’s what Cody Parkey did. It was the single most powerful testimony of faith I have ever seen from an athlete. There is a powerful lesson there for those who claim to share that same faith. *Today’s Guest Writer is David Housel, Auburn University’s Athletic Director from 1994-2005. He is now Athletics Director Emeritus at Auburn. He can often be found with friends in a backbooth at Chappy’s Deli in Auburn, Ala., where he wrote this piece. What’s Your Story? Tell us Here.